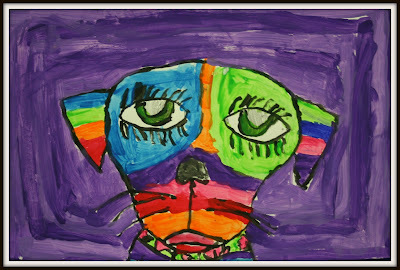 "60 Minutes" did this great video on Louisiana artist, George Rodrigue and the subject of many of his paintings, Blue Dog. 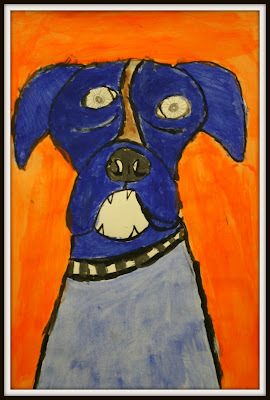 After introducing fourth graders to the "Blue Dog", we set out to create our own versions of man's best friend. 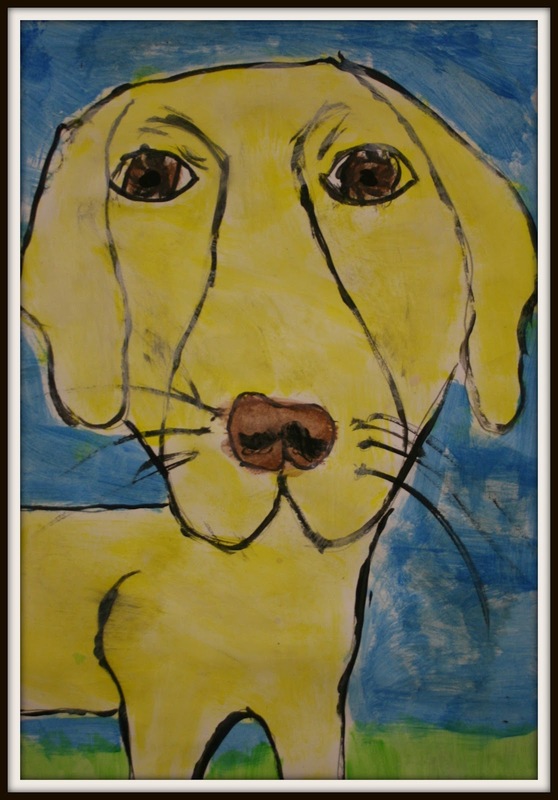 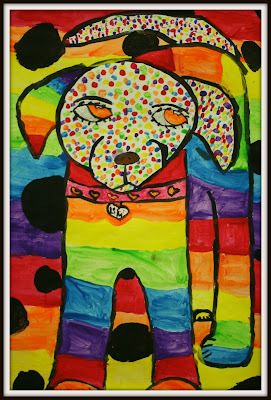 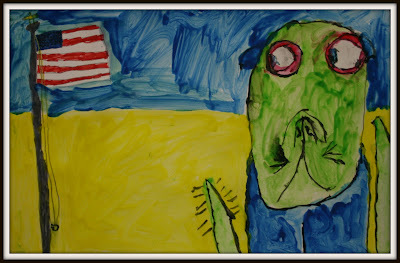 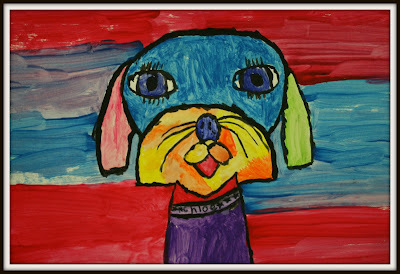 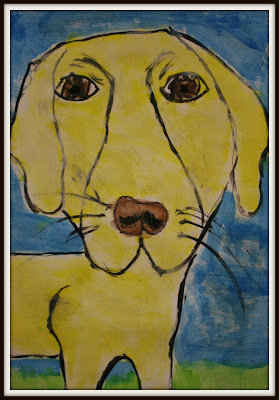 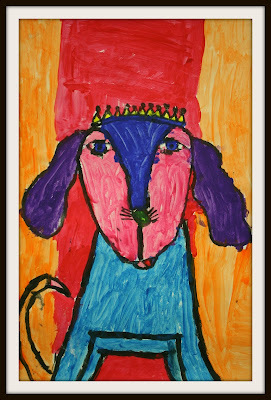 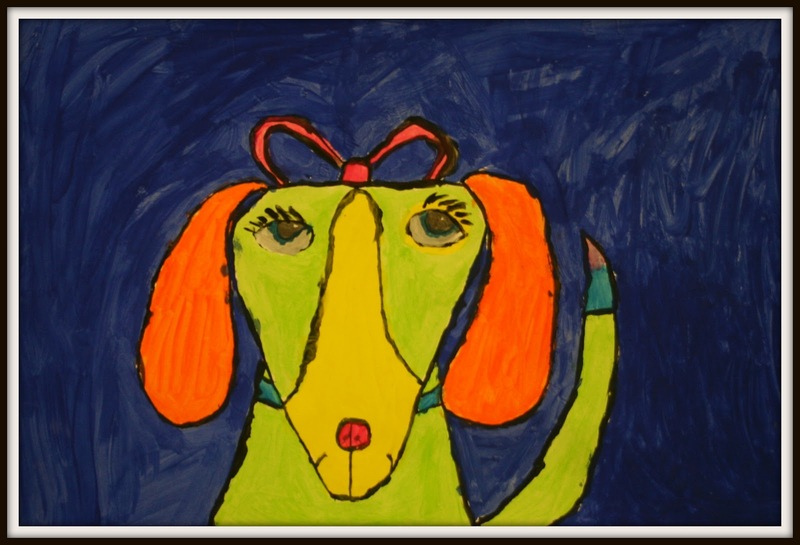 Many of the students used the original blue dog to help with the development of their painting. 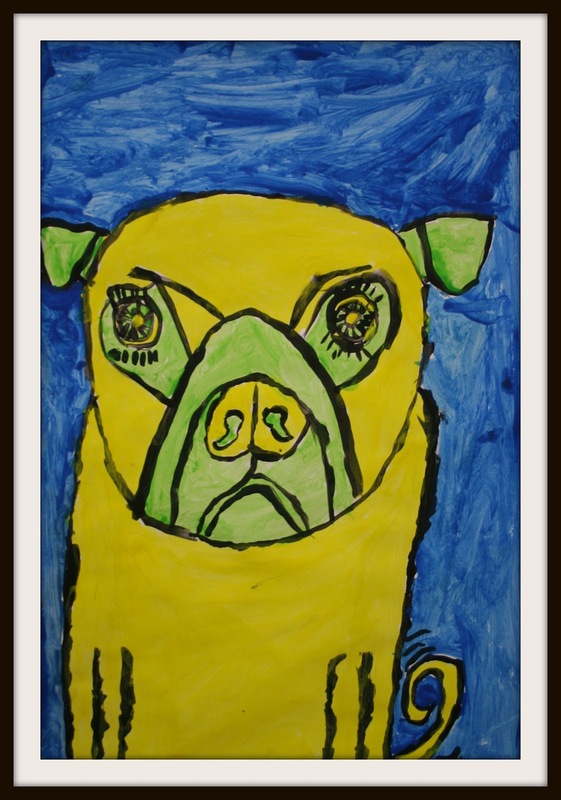 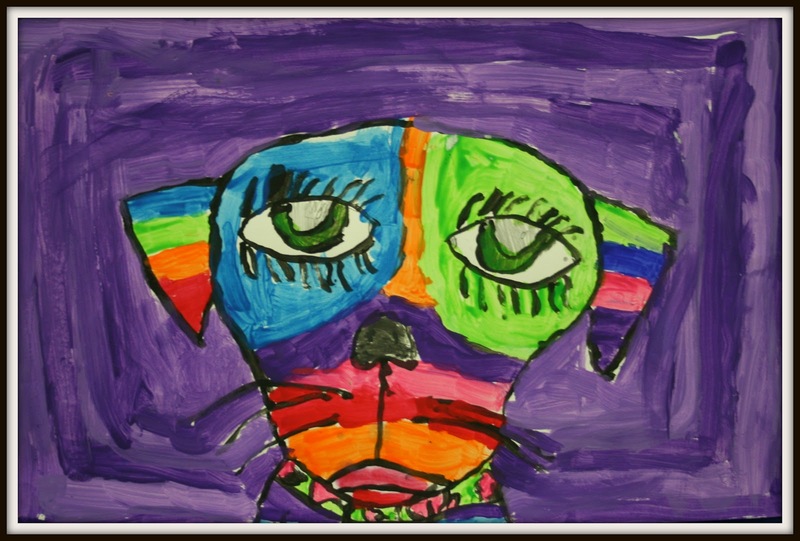 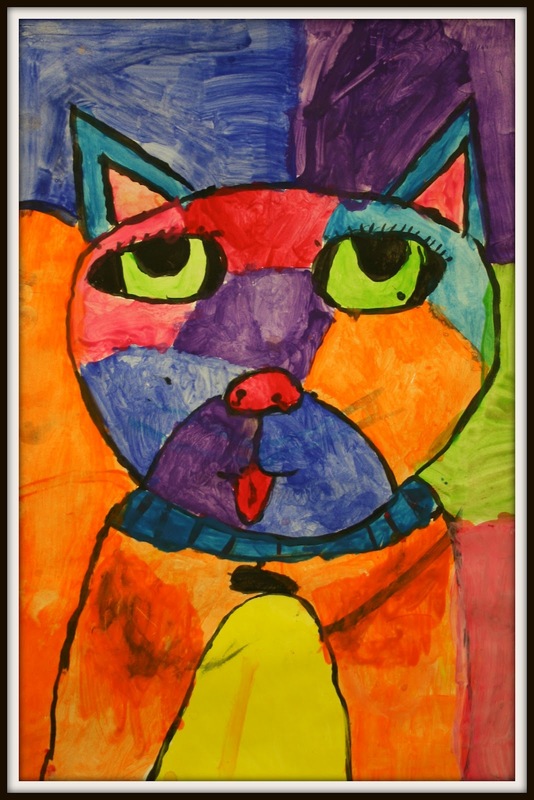 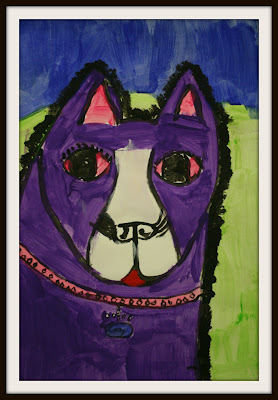 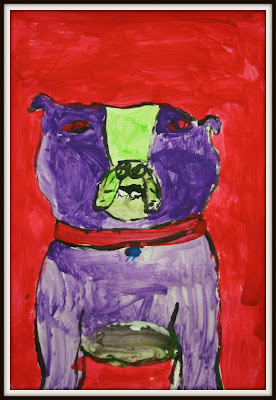 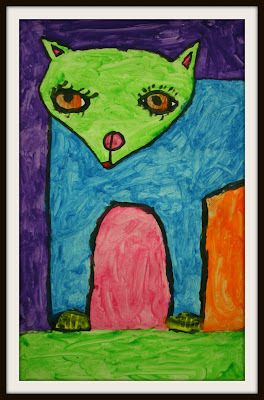 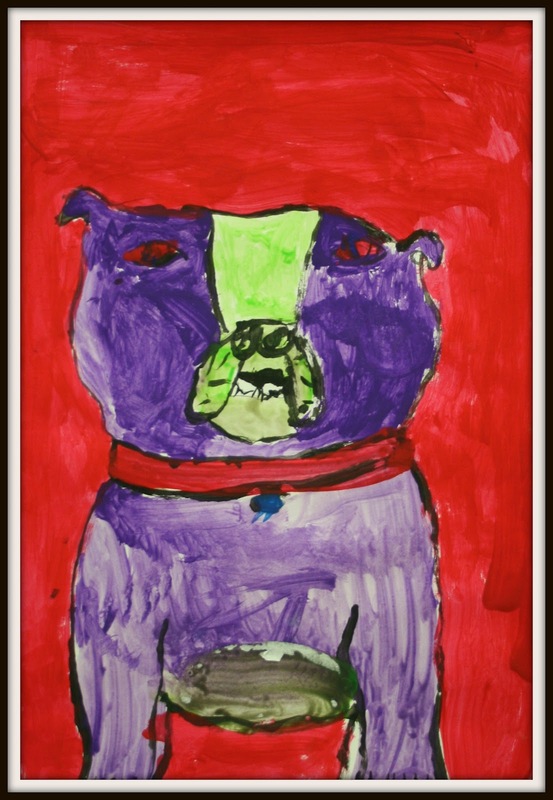 But, I was really happy to see some of the kids take off in different directions and use either family pets or favorite dog breeds as the idea for their piece. 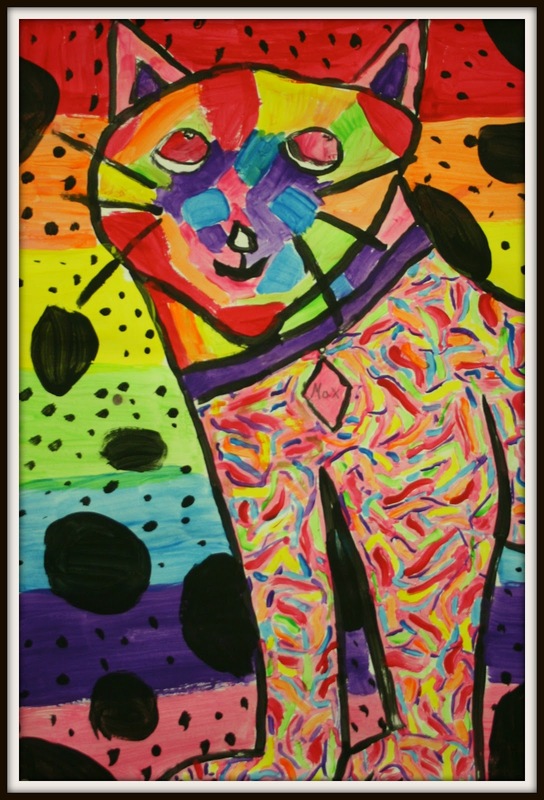 We even had a few cat lovers in the group and ended up with a few brightly colored felines. Which I was totally fine with !! These are all adorable and utterly charming- thanks for sharing!